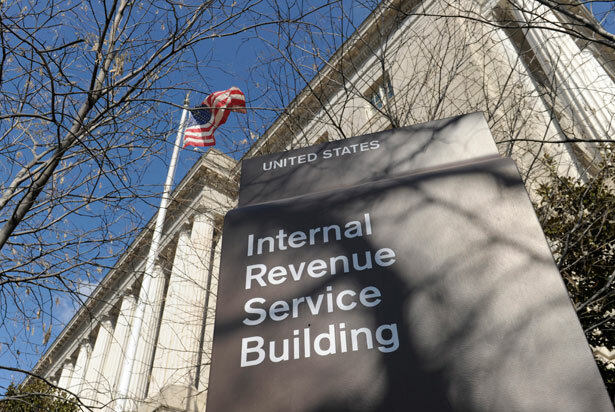 The new rules proposed for 501(c)(4) issue groups may miss the mark. Instead, the administration’s response to the flood of dark money in recent elections is a set of new IRS regulations aimed only at addressing some activity taken by 501(c)(4) “issue advocacy” groups. The new rules restrict “participation or intervention in political campaigns on behalf of or in opposition to any candidate for public office.” The rules also restrict C4 organizations from engaging in so-called “candidate-related” communications. Though put forth with purportedly good intentions, this proposed rule would do little to deter powerful individuals or large companies from engaging in limitless dark money electioneering. The $400 million in undisclosed campaign money spent by the Koch network in 2012, revealed recently by Robert Maguire of the Center for Responsive Politics and Matea Gold of The Washington Post, showed that deep-pocketed donors have been quick to set up 501(c)(6) trade associations, which would not even be impacted by the rules as they stand now. Like 501(c)(4) issue advocacy organizations, 501(c)(6) trade groups may take unlimited donations and engage in unrestricted partisan or election activity. Trade groups are often formed by industry associations or coalitions of like-minded businesses. One of the largest of the new Koch groups, called Freedom Partners, is a 501(c)(6) trade association. As a result of the Citizens United Supreme Court decision, 501(c)(6) trade associations have been front and center in coordinating corporate-funded, fully undisclosed, partisan advocacy. Organizations such as the US Chamber of Commerce and the American Petroleum Institute have taken advantage of the new election landscape to provide corporations with a veil of secrecy in influencing American elections. And the proposed regulations on 501(c)(4) organizations would do nothing to change that. Let’s say, for the sake of argument, that a candidate who feels strongly about regulating the fossil fuel industry and addressing climate change ran for US Senate. In response, oil company X sought to prevent this candidate from being elected, but did not want the negative publicity associated with dumping millions of dollars into an election. Oil company X could simply route the money through a 501(c)(6) trade group, like the US Chamber of Commerce or the National Federation of Independent Businesses, which could then air the negative campaign advertisement independently or through another third party. The voter would have no idea where the money was coming from. While certain organizations have been created or expanded in the last two election cycles to exploit the current system for 501(c)(4) nonprofits, namely groups like Americans for Prosperity, Crossroads GPS and, on the Democratic side, Priorities USA, most 501(c)(4) nonprofits are community groups that have little resources and exist to promote genuine nonpartisan advocacy. Under the administration’s new rule, the small 501(c)(4) groups would probably be hurt the most, and at least in the short term, civic engagement will take a hit. The “candidate-related” communications banned in the new rules include nonpartisan voter registration and “get-out-the-vote” drives. To critics, the rule will reduce the role of activists (like the League of Women Voters) while allowing the wealthy to simply change tax status and continue operating in the dark. “The big players,” Alliance for Justice president Nan Aron wrote, “will hire lawyers and accountants to help them avoid the rules.” Moving to better police the activities of political nonprofits is desperately needed. But any change should aim to level the playing field and promote transparency for all.